Quality show caveson. Made with supple Havana brown leather and heavy duty, durable hardware. 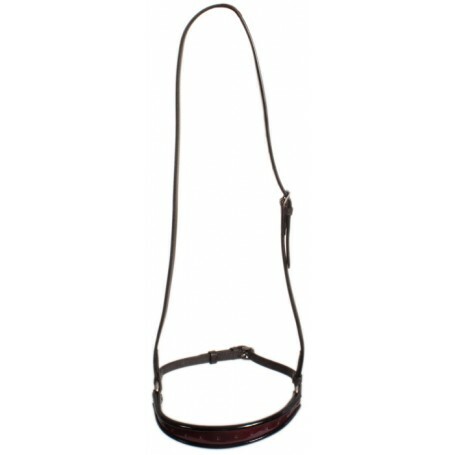 Noseband is accented with shiny black and maroon patent leather.